The arrival of a new Baby is always special and something to celebrate. 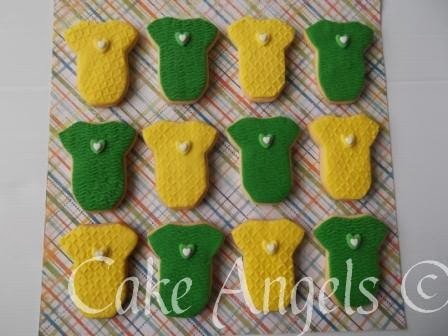 When you don't know the gender of the impending arrival, covering both possibilities by using the colours Green and Yellow is the way to go. This is what our customer ordered for her special celebration. 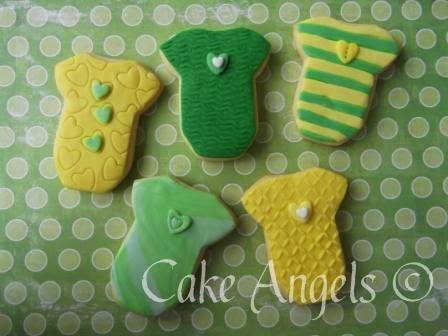 Baby Onesie Cookies. So cute !! Good luck with the new Baby.